The redesigned 2018 Dell XPS 13 was unveiled in January 2018 and released that same month. 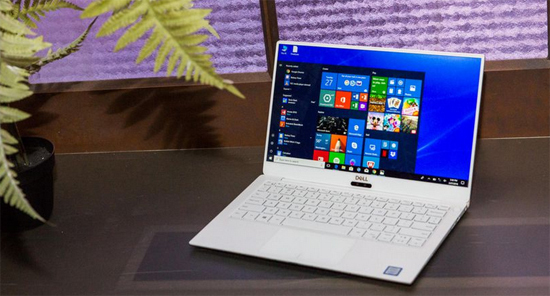 The new XPS 13 body is smaller, with better internal cooling and a sharp-looking all-white interior. The nearly bezel-free screen still looks great and there’s a fingerprint reader hidden under the power button. The resolution of 1080P or 4K is so delicate. Want to get a free Blu-ray player for playing Blu-ray Folder and ISO Image File on Dell XPS 13? 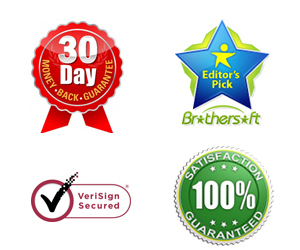 Acrok Video Converter Ultimate is your best choice. 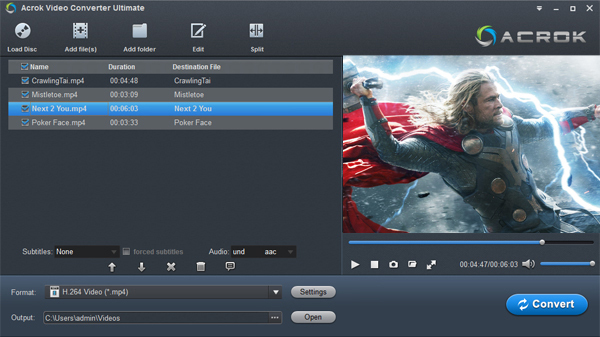 Acrok Blu-ray Player is the world’s first free Blu-ray media player software that combines all media player features. As professional Blu-ray disc player for PC, all latest Blu-ray discs on the market could be played back on this Blu-ray player software on Windows and Mac. Meanwhile, it’s also a free media player that offers totally free service to let PC users play DVD, video (up to 1080P) and audios on PC without any quality loss. With advanced audio decoding technologies like Dolby, DTS, AAC, TrueHD and DTS-HD, Acrok Blu-ray Player delivers superb audio effect for home theatre entertainment. What’s more, during playback, PCusers could freely select subtitles or even load external subtitles, adjust video and audio. With easy-to-use operating navigation and full playback control, Acrok Blu-ray Player offers cinematic movie experience with your home theatre system. Can we play Blu-ray discs on Dell XPS 13 without external Blu-ray drive? In fact, it is easy to watch Blu-ray videos on Dell XPS 13, Dell Inspiron, Alienware, Dell Latitude, as long as you got a Blu-ray Ripper in hand. The recommended Blu-ray to Windows laptop converter is Acrok Video Conveter Ultimate. It can professionally rip Blu-ray to any laptop supported video format with fast speed and excellent output quality. In addition, this Blu-ray ripping tool can also convert Blu-ray to various popular video formats like MP4, AVI, M4V, WMV, MPG, MOV, FLV, MKV, 3GP, etc. as well as rip Blu-ray to optimized video for playback on iPhone X, Galaxy S9, OnePlus 6, Google Pixel 2 XL, Xperia XZ2, Moto G6, Huawei P20 Pro and more. If you are a Mac user, you can turn to Acrok Video Converter Ultimate for Mac, which has the same function as the Windows version. How to rip Blu-ray movies for playing on Dell XPS 13? Launch the best Blu-ray Ripper and click “Load Disc” or Add Folder to import the Blu-ray movies you want to rip. As you see, all added files will be listed below and you can preview them, take snapshots, choose subtitle and audio track, etc. as you like. Choose output profile via clicking the “Format” bar. Here we recommend you select “Common Video > H.264 Video(*.mp4)” as the export format. The output videos fit Dell XPS 13 and other Windows laptop perfectly. When you have finished all the above settings, you can simply click the “Convert” button on the main interface and let the software do the Blu-ray to MP4 conversion for you. After the conversion, click “Open” to locate the converted video files and then transfer them to your Dell XPS 13 for watching with ease. Tip: Acrok Free Blu-ray Player software contains all media playback solutions you need for your leisure entertainment. It acts as free Blu-ray disc player, free DVD disc player, free HD video player (free 4K video player), free ISO file player. If you want to get a free Blu-ray player, please read Free Blu-ray Player Reviews.